An art and architecture initiative in Bordeaux means visitors can stay overnight in bespoke owl cabins for absolutely free. If you fancy a break and want an experience that is ‘bucket-list’ memorable, then Bordeaux in France’s famed wine region could fit the bill. A recent art and architecture initiative means you can stay for free in one of the magical urban owl cabins that have been constructed in the city suburbs. 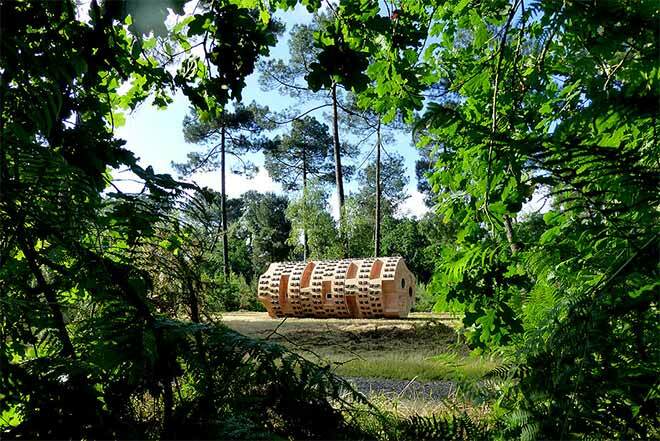 This project is one of 9 Refuges Périubains (peri-urban shelters) in Bordeaux, initiated by an art and architecture studio Bruit du frigo, whose main aim is to offer an escape and introduce visitors to some forgotten natural spots in the suburbs of Bordeaux. One of the most interesting cabins is definitely the ‘owl cabin’, called Less Guetteurs or The Watchers. 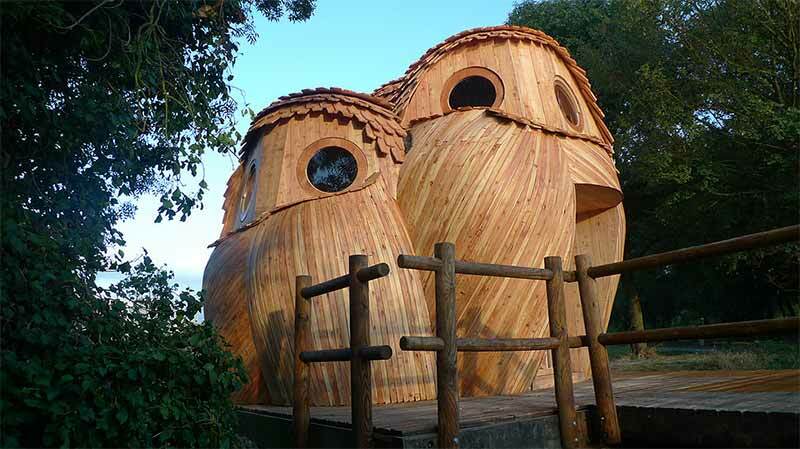 The cabin is a sculpture of three owls grouped together, designed by Zebra3 designer Candice Petrillo. There is a ‘nest’ in the head of each owl where visitors can sleep on large roundbeds. The owl cabin also offers a private dock out back where you can stargaze and, of course, drink great wine. 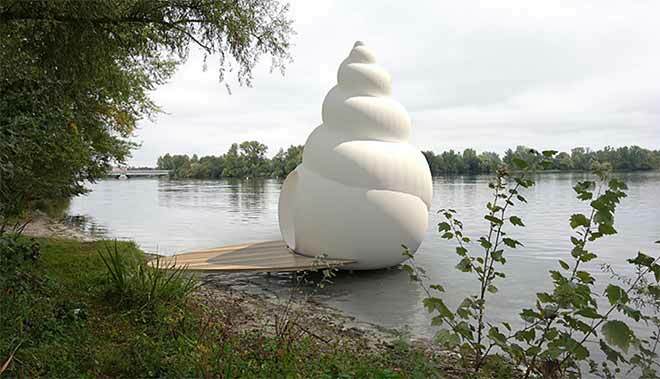 There are nine cabins in total – each is designed by a different French artist, and some in collaboration with Zébra3, a contemporary art production company. The only downside to this ingenious venture is that you can only stay one night in each cabin – although the company can make it possible for hikers to spend more than one night there. Potential guests need to remember that all of the cabins provide shelter only. Whilst you’re given the opportunity to experience the nature of Bordeaux from a unique viewpoint, there’s no electricity, running water, or heating. The Refuges Périubains project will soon have a tenth shelter. 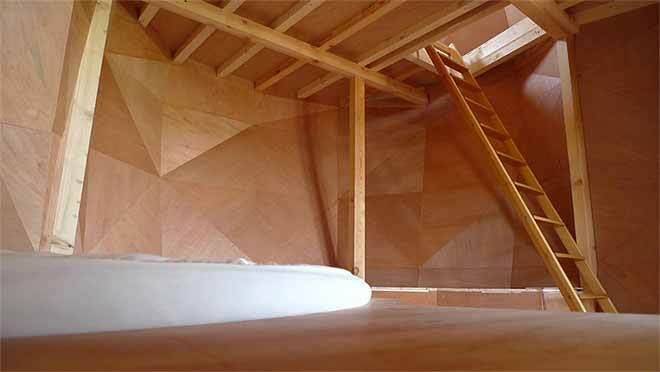 In September another uniquely designed cabin shall be available for visitors to stay in. The new design called Neptunea and resembles a giant shell. Interested? You’ll need to book a month in advance on the Refuges Périubains’ website. Next articleAntarctica – The Land of Penguins, Strange Huts, and Really Old Fruitcake!